In addition to the Surface RT, it looks like our price estimate of the Surface Pro was on target as well. Microsoft just announced that the Surface Pro will available in January, at a starting price of $899 for the 64GB version. As in the case of the Surface RT, this does not include the price of the heavily marketed touch/type cover. Let's take a look at the how this could affect Microsoft's mobile strategy. The Surface Pro unveiling came just after a report stated that Microsoft had cut manufacturing orders for the Surface RT in half, owing to poor demand. This, in conjunction, poor early demand for Windows 8 and Windows RT, has put Microsoft in a bind. Poor demand for Windows 8/RT devices and Microsoft's hardware efforts also seem to be affecting Microsoft's relationships with OEM partners. This was one of the primary factors driving the Surface Pro's high price tag. At a starting price of $899, it is fairly obvious that the Surface Pro will have little to no impact on the market. 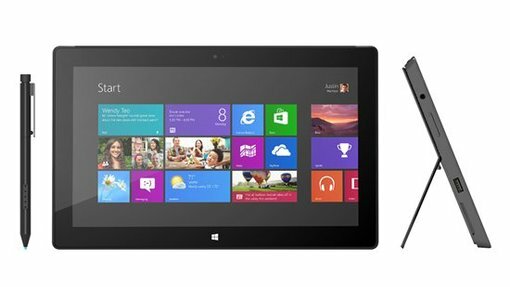 Ultrabooks and Windows 8 hybrids have seen very poor demand because of high prices, a shift to mobile devices and a general disinterest in Windows 8. The Surface Pro really does nothing to change these dynamics. Microsoft also announced that the Surface Pro will have half the battery life of the Surface RT, which would be about 4 hours. This suggests that reports about Windows 8 not being ready and power management flaws on Intel's Clover Trail chips were true. Since the Surface Pro is a device running first generation software on first generation hardware, problems like this should be expected. However, the problem is that Microsoft's first generation device comes at a time where competitors have already fine-tuned their products after multiple iterations. The high price tag would have already limited sales, but word-of-mouth, driven by these product flaws, would cause the already low sales to decrease over time. According to one report, Microsoft is attempting to move to a yearly upgrade cycle to iron out problems like this. Unfortunately, these problems are partially related to hardware as well. At the end of the day, Microsoft's problems with the Surface & Windows 8 have been caused by a flawed mobile strategy. Microsoft sees the tablet as an extension of the PC, but doesn't seem to understand the fact that the gap between touch-optimized and non-touch-optimized applications renders that logic invalid. Microsoft is attempting to position the Surface Pro as a laptop/PC replacement but unfortunately, replacing a PC doesn't seem to be necessity anymore.